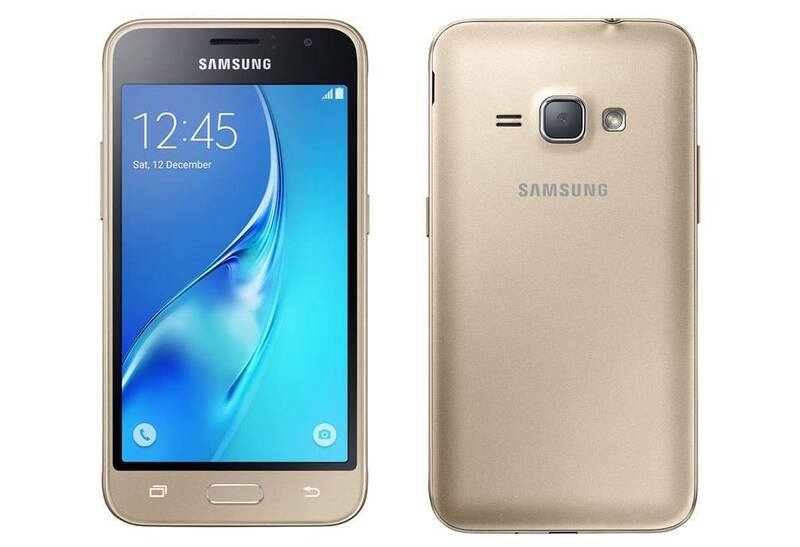 Update: Samsung Galaxy J1 (2016) and J1 Mini has now been officially launched and is listed in Samsung Russia website without any date of availability and price tag. Recently there has been some more news about the upcoming Samsung Galaxy J1 (2016), which is the successor of last years Galaxy J1. This new device is a minor upgrade over the original Samsung Galaxy J1. @evleaks has leaked few renders of Samsung Galaxy J1 (2016) which will soon be launched in coming weeks. Though, this is not the first time that the images of J1 has been leaked, but this time there is almost a good set of images of Galaxy J1. 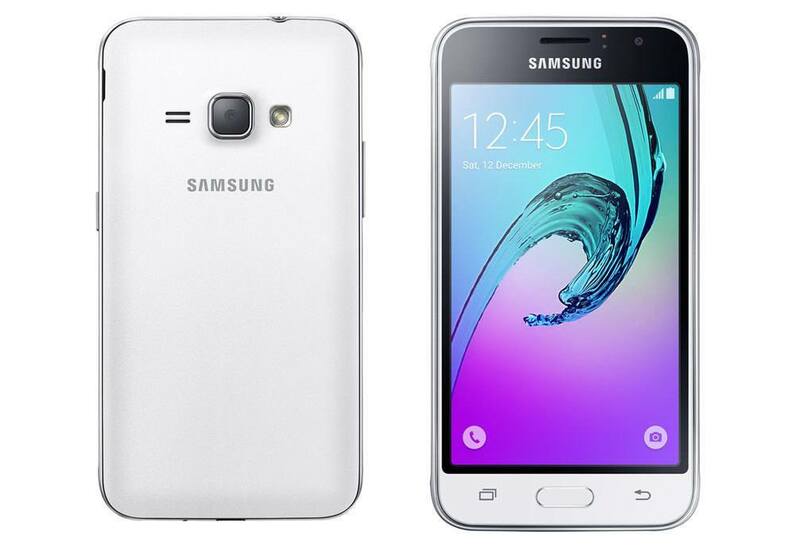 Samsung Galaxy J1 (2016) will still be categorized under budget phones as it comes with very bare specifications. 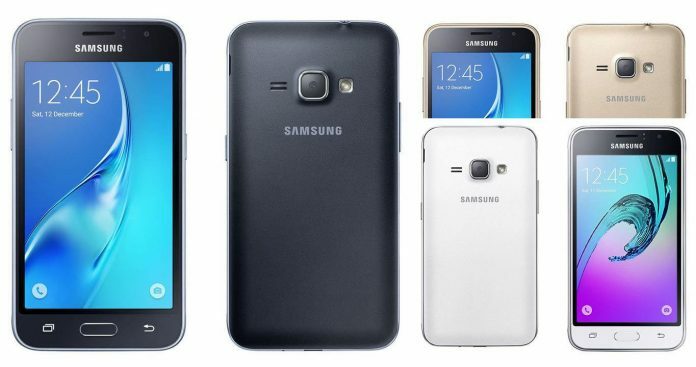 The new J1 will posses a 4.5 inch screen as compared to 4.3 inch screen of last years Galaxy J1. In spite of having a bigger screen, J1 has the same resolution as the previous device, which is 480 x 800 pixels. The phone will be powered by 1.3GHz quad-core Exynos 3457 processor accompanied with 1GB RAM. The graphics of the phone are handled by Mali-720 GPU. It is expected that Galaxy J1 will come with 8GB of onboard storage with an option to expand the storage up to 64GB via micro SD card. The phone will run on Android 5.1.1 Lollipop with TouchWiz over the top. Galaxy J1 sports a 5MP primary camera along with a 2 MP front facing camera. There has been a slight improvement from last year’s J1, which was powered by dual-core 1.2GHz processor and 512MB RAM. The phone will be available in three colors, i.e. White, Black and Gold. Last year’s Galaxy J1 was priced around Rs. 6,000 and it is expected that Galaxy J1 (2016) will also be priced in the same range. As per the trusted sources, the phone may carry a price tag of Rs. 5999. The design of J1 is similar to other Samsung devices and nothing has been changed. The specifications are bare minimal and so will be the price. There are few better options at this price range from Xiaomi and other Chinese mobile manufacturers. To get more updates on Samsung Galaxy J1 (2016) and other Samsung devices, stay tuned with us.